The Innovation & Curiosity center is a college laboratory located in the Life Science building on Wayne State's campus.This center is on temporary loan from the College of Nursing and is not only open to C2 Pipeline students and schools, but is available to middle schools and high schools throughout Metro Detroit, and the public. It enables students of all ages to explore, innovate, and gain an exceptional experience at a major research institution utilizing college facilities.This center is a great place for students to perform science experiments, advance their knowledge in S.T.E.M. and utilize new age technology. The main lab space consists of large bench areas with sinks which are ideal for biology, chemistry, dissection, or other S.T.E.M. related activities. The center also includes five themed rooms: anatomy, forensics, physics, replicator (3D printer), and a sub-zero room.These rooms enable students to explore different subjects and topics through project based activities. A few of the center's special features include: Makerbot replicator 3D printers, r3bel Bio-Printers, 20 iPad Mini's, 3 Underwater ROV's (remotely operated vehicles), DJI Inspire 1 quadcopter, 12 high and low power microscopes, 1 SWIFT forensic comparison microscope, and 1 Microscope used to detect Tuberculosis. The packages below were created to give high school and middle school teachers an opportunity to facilitate their own activities and experiments utilizing an authentic college laboratory. These package options have already opened many doors for schools in the Metro Detroit area that did not have access to a laboratory setting in their schools to facilitate science experiments for their students. This package includes 3 visits (approximately 2 hours/visit) to the Innovation & Curiosity Center at WSU. This does not include any expendable materials and only instruments such as microscopes, scales, hot plates, thermometers, etc. can be utilized in the lab. Activities for the 3 visits will be facilitated by you and your staff. This packages includes 6 visits (approximately 2 hours/visit) to the Innovation & Curiosity Center at WSU. This will also include an activity on campus at a particular school or college designed around your class interest. Basic chemicals and supplies will be included. Activities for the 6 visits will be facilitated by you and your staff. This package includes 10 visits (approximately 2 hours/visit) to the Innovation & Curiosity Center at WSU as well as 1 free (2 hour) additional visit where activities will be facilitated by you and your staff. This will also include a (2 hour) activity on campus at a particular school or college designed around your class interest as well as a 1 Forensic Science lab activity facilitated by C2 Pipeline staff. Basic chemicals and supplies will be included. If you are a teacher looking for a unique field trip experience or are simply in need of rental laboratory space, the Innovation & Curiosity Center is perfect for you and your students. Customized packages are available that will meet your group's needs. Please view our Innovation & Curiosity Center brochure (PDF) here to see what activities might interest your group. 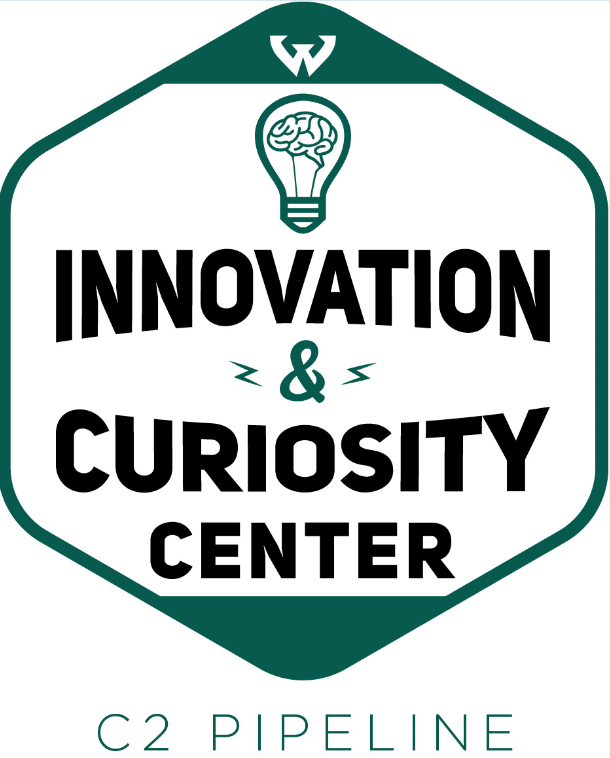 If you are interested in scheduling a field trip or want find out additional information regarding the Innovation & Curiosity center, fill out an online application. Contact us to schedule your unique and innovative experience today!